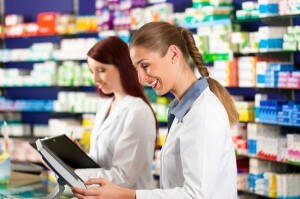 How good is your locum pharmacy technician service? Looking for an approved locum pharmacy technician? Qualified and reliable staff are crucial to managing a pharmacy business and when your usual pharmacy technician is unavailable due to holidays or sickness, finding a replacement can be trying, especially at short notice. As a pharmacy locum agency, Pharmaseekers aims to streamline this process, giving you access to a skilled and vetted locum pharmacy technician without the hassle of having to track them down. Pharmaseekers’ bespoke online diary management software means that we can monitor the availability of locum pharmacy technicians whose credentials are regularly checked to ensure that their registration, DBS certification and insurances are up to date. Notifying us about a vacancy is as easy as clicking a button. You’ll be able to specify rates of pay and any requirements in addition to the usual qualifications. Request a particular locum pharmacy technician with whom you, your staff and community already have a relationship or review potential candidates, recommended by Pharmaseekers according to your specifications, before you agree to engage them. You’ll be able to supply feedback on each locum pharmacy technician so that we’ll know whether to offer them to you in future. The online system allows each pharmacy to manage bookings confidentially and prepare for holiday cover by reserving technicians as far ahead as you like. In fact, we offer discounts to customers who book in advance allowing you to forward plan and locums to better manage their schedules. We check their ID and that the right to work in the Uk. We also understand that requests for locum technicians are often unexpected and last minute. In these cases, Pharmaseekers will endeavour to fulfil your staffing requests as soon as possible. Simply notify us online and we’ll match you with a suitable technician. When needed, our team is available weekdays from 7am (7.30am on Saturdays). Register your pharmacy with Pharmaseekers today. You’ll soon be able to take advantage of our experience in keeping pharmacies reliably staffed, allowing you to concentrate on other aspects of your business.